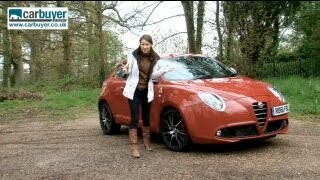 The Alfa Romeo MiTo has been around for quite a few years and managed to successfully compete in the "city car" segment and win a few awards for itself as well. 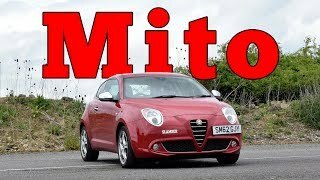 To keep the MiTo appealing, Alfa Romeo has prepared a facelifted model for year 2012, but the main attraction of the new version will be the TwinAir variant which offers a new fuel-efficient engine. Under the new MiTo TwinAir's bonnet beats the same 0.9 liter two-cylinder petrol engine found in the Chrysler Ypsilon and the Fiat 500. The unit develops 85 horsepower but it's nothing groundbreaking in terms of performances. 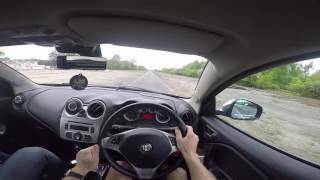 The 0.9 liter is capable of accelerating the MiTo to 100 kmh from a standstill in 12.5 seconds. Furthermore, the DNA system developed by Alfa Romeo is still present in the TwinAir variant. Once set to "Dynamic" mode the engine will output it's full capabilities of 85 horsepower and 107 lb-ft of torque, but the "Natural" mode will drop the power to 77 HP and 81 lb-ft. However, "N" mode will deliver higher fuel efficiency and will reduce noise, so it all comes down to your exact needs. In terms of fuel consumption Alfa claims that the TwinAir MiTo will average 67.3 mpg, with a CO2 output of 98 g/km. However, in order to achieve that mileage with one gallon of fuel you need to be very mindful of how you drive this small city car, else you might cut the mileage in half in no time. In addition, a start-stop system will greatly help in reducing fuel consumption. In terms of design the new MiTo hasn't changed too much, inside or out. On the interior the same problems from before persist, including the low visibility due to the small rear window. Getting in the back is as difficult as before and it feels a bit cramped, but there are some upsides as well. For example, in terms of aesthetics the interior looks very pretty and up to par with Alfa's design cues. However, he overall experience you get from an Audi A1 is more enjoyable. The new model comes in two trims, Distinctive and Sprint. The latter comes with air-con, Bluetooth, a set of 16 inch wheels, cruise control and USB connectivity, whereas theDistinctive trim level adds lumbar support for the driver's seat, it comes with a new set of larger wheels, as well as rear parking sensors. That's pretty much it. In case this small city car is right up your alley you can now order one at the price of £15,350. 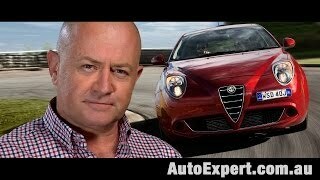 We expect the Alfa Romeo MiTo 2012 to be available in dealerships next month.